3D printing is a very important part of the design process and is used widely in all design related industries. 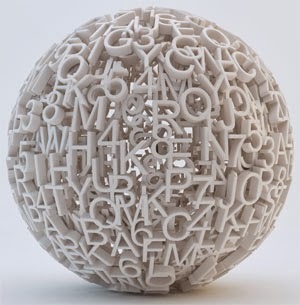 3D printing is also called as the additive manufacturing. This advance method has been adopted by many big brands in the markets to replace their traditional printing methods. 3D printing has gained immense popularity in the market and has many benefits to it. Less time in production. The time taken to manufacture is much less than the traditional printing techniques. Both these methods have the same output but the time required is very different. The time can differ from days to months to get the end result. Lesser waste is found in the 3D printing technology. The traditional printing technique has many plastic chunks and small parts as waste. Manufacturing companies have a lot of waste material and if they implement 3D printing techniques, this waste material and money can be saved. Improved quality is what you get in 3D printing. 3D printing technique helps make better products and have very good quality. These products are very sturdy and benefit big brands. Brands who want better shelf life and profitable products use this technology. Less price is required in 3D printing. This printing is usually used by bigger brands and by large companies like Pepsi and Converse. 3D printing can help cost savings up to 70%. Innovation is the biggest benefit of 3D printing technology. The traditional printing technology has to depend on moulds and cutting technologies wherein the 3D printing uses different innovative shapes and structures. It can easily manufacture complex and critical shapes. This process has more durability and many benefits attached. New business models can be innovated to help new brands, new entrepreneurs that can help the product gain popularity very fast. 3D printing services can provide you with many options.